It’s Monday and Toni’s Touch is closed. 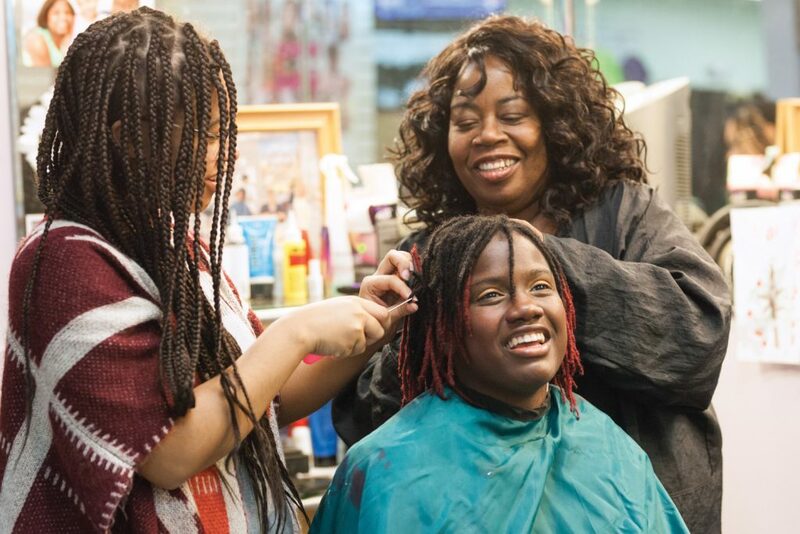 Antoinette “Toni” Smothers and her daughter arrive at the shop to style each other’s hair on their day off. The minute the lights turn on, people start coming in. Buying supplies, making appointments, just saying hello. “They all know we’re here,” Smothers says, laughing. Smothers didn’t plan to open a beauty shop. “I never wanted to go to school for hair. It was just something I always did.” With seven girls in her family, she had plenty of practice; she was an accomplished braider by age 4. Her passion, she says, is working with children. Originally from New Jersey, a nanny position brought her to Maine, and she enrolled at Pierre’s (now Empire) Beauty School. She then attended Dudley’s Beauty School in North Carolina. “They teach more ethnic styles and how to protect the hair. It wasn’t really being taught up here,” she says. 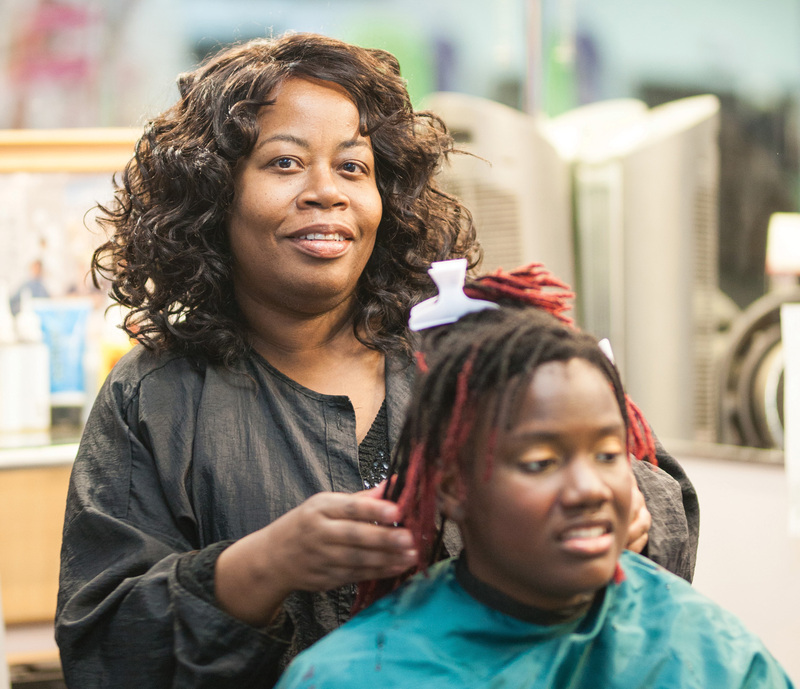 Smothers returned to Maine planning to specialize in children’s hair, but demand for skilled braiders was high, and she quickly developed a reputation as one of the best—and only—in the state. She opened a salon, now located at the top of Forest Avenue in Portland, with a barbershop next door. 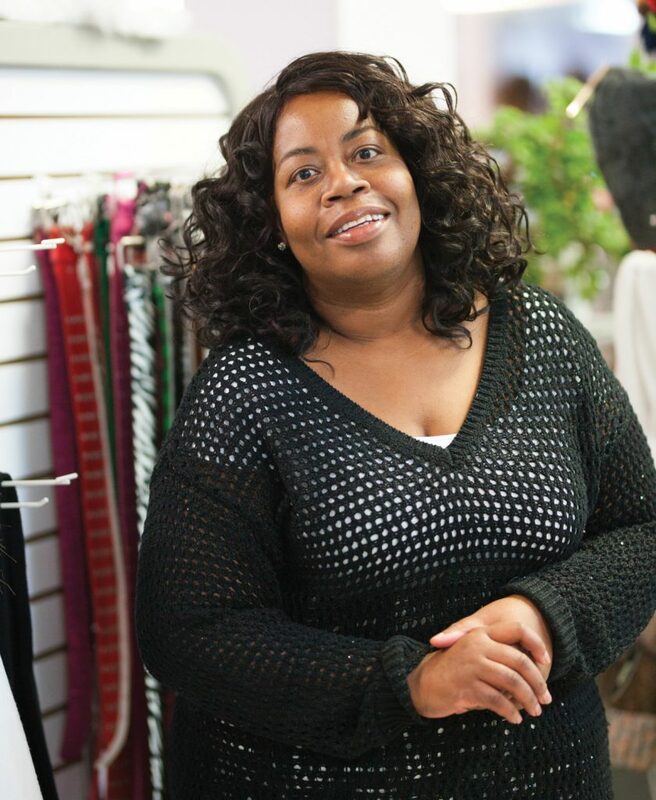 Since opening her doors 20 years ago, Toni’s Touch has become a community unto itself. Her customers come from all over Maine, as far away as Connecticut, and from every walk of life. She still likes the little ones the best. “I have a sweet spot for the kids,” she says. 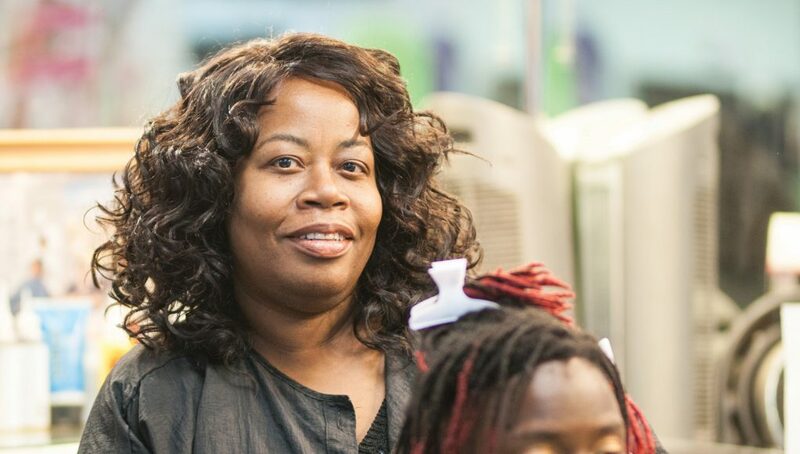 “There are a lot of interracial couples in this area, and I specialize in that in-between texture of hair.” She’d love to start a group to support mothers of biracial children—and teach them how to do their kids hair. “That would be great,” she smiles. 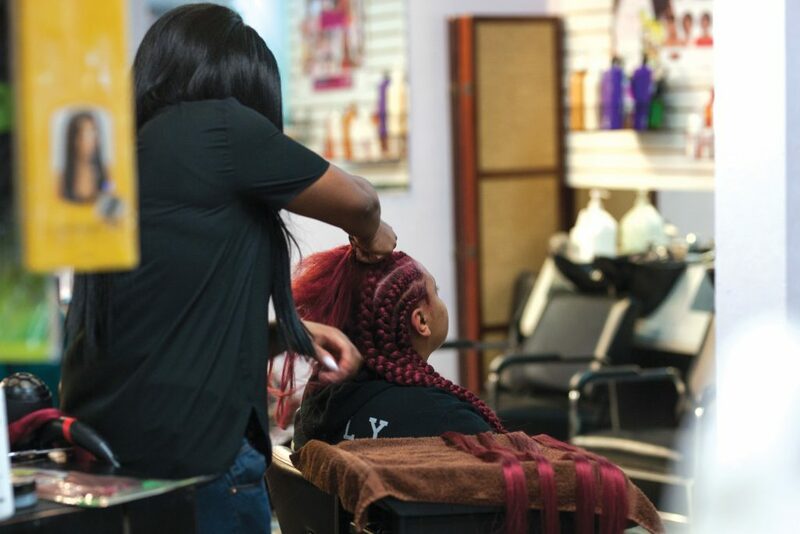 Toni’s Touch offers cuts, color and styling, along with braids, weaves, wigs and extensions. Last year she opened a second shop in Biddeford with a larger product assortment, and a carefully curated online store rounds out her offerings. Customers say Toni’s has the best supply of black hair products in the state. Shay Stewart-Bouley followed her hairdresser, Tonya, when she moved to Toni’s Touch. “Black textured hair requires a different level of care than white hair. I’ve gone to a few white stylists [in Maine], typically with not very good results,” she says with a chuckle. On her blog, Black Girl in Maine, Stewart-Bouley fields questions from black women coming to Maine. Toni’s Touch is the salon she recommends, although it can be tough to get an appointment on short notice. Often Smothers and her team are booked out for weeks. Most importantly, though, she wants Toni’s Touch to always be a place where everyone feels welcome.